SLP services for all diagnoses & ages anywhere in the U.S.
John Pennino is a speech-language pathologist in Tampa, FL. Practice Type: • Office Practice Areas: • Speech Language Pathology • Accent Modification • Fluency and fluency disorders • Swallowing disorders • Voice Disorders Take the next step and contact John Pennino for a consultation in Tampa, FL or to get more information. Mona Chiles Speech Language Pathology L.L.C. Dr. Brett Scotch is a board certified Otolaryngologist (Ear Nose and Throat Physician). Barbara Drobes is a clinical audiologist. Barbara performs hearing testing, hearing evaluations, hearing aid selection, fittings, and adjustment. Our physician and audiologist work together in the same office to ensure your continuity of care. Connie Pike is a speech-language pathologist in Apollo Beach, FL. 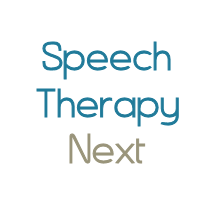 Practice Type: • Speech Hearing Center/Clinic Practice Areas: • Speech Language Pathology • Speech Therapy Take the next step and contact Connie Pike for a consultation in Apollo Beach, FL or to get more information. Russell Boyce is a speech-language pathologist in St. Petersburg, FL. Practice Type: • Speech-Language Treatment Center/Clinic Practice Areas: • Speech Language Pathology • Fluency and fluency disorders Take the next step and contact Russell Boyce for a consultation in St. Petersburg, FL or to get more information. John Wendelken is a speech-language pathologist in Tampa, FL. Practice Type: • School Practice Areas: • Speech Language Pathology • Autism • Voice Disorders Take the next step and contact John Wendelken for a consultation in Tampa, FL or to get more information. Kelly Goble is a speech-language pathologist in St. Petersburg, FL. Practice Type: • Home Health Agency - Client's Home Practice Areas: • Speech Language Pathology • Speech Therapy Take the next step and contact Kelly Goble for a consultation in St. Petersburg, FL or to get more information. Janette Stines is a speech-language pathologist in Tampa, FL. Practice Type: • Speech Hearing Center/Clinic Practice Areas: • Speech Language Pathology • Speech Therapy Take the next step and contact Janette Stines for a consultation in Tampa, FL or to get more information. Inc.- Independent Living is a speech-language pathologist in Tampa, FL. Practice Type: • Home Health Agency - Client's Home Practice Areas: • Speech Language Pathology • Speech Therapy Take the next step and contact Inc.- Independent Living for a consultation in Tampa, FL or to get more information. Sally Penrose is a speech-language pathologist in Largo, FL. Practice Type: • Self-Employed Practice Areas: • Speech Language Pathology • Speech Therapy Take the next step and contact Sally Penrose for a consultation in Largo, FL or to get more information.